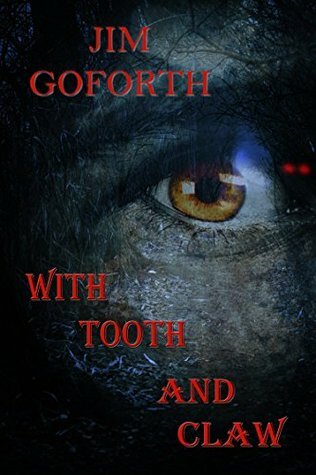 Jim Goforth is a horror author currently based in Holbrook, Australia. Happily married with two kids and a cat, he has been writing tales of horror since the early nineties. After years of detouring into working with the worldwide extreme metal community and writing reviews for hundreds of bands across the globe with Black Belle Music he returned to his biggest writing love with first book Plebs published by J. Ellington Ashton Press. Along with Plebs, he is the author of a collection of short stories/novellas With Tooth and Claw, extreme metal undead opus Undead Fleshcrave: The Zombie Trigger, Riders: Plebs 2-Book One and Two, co-author of collaborative novel Feral Hearts and editor for the Rejected For Content anthology series (taking over the reins after volume one Splattergore. He also has stories in both Splattergore and Volume 2: Aberrant Menagerie). I’m a horror author, writing predominantly splatterpunk and extreme horror. I’m currently based in Australia, married with two little kids and a cat. 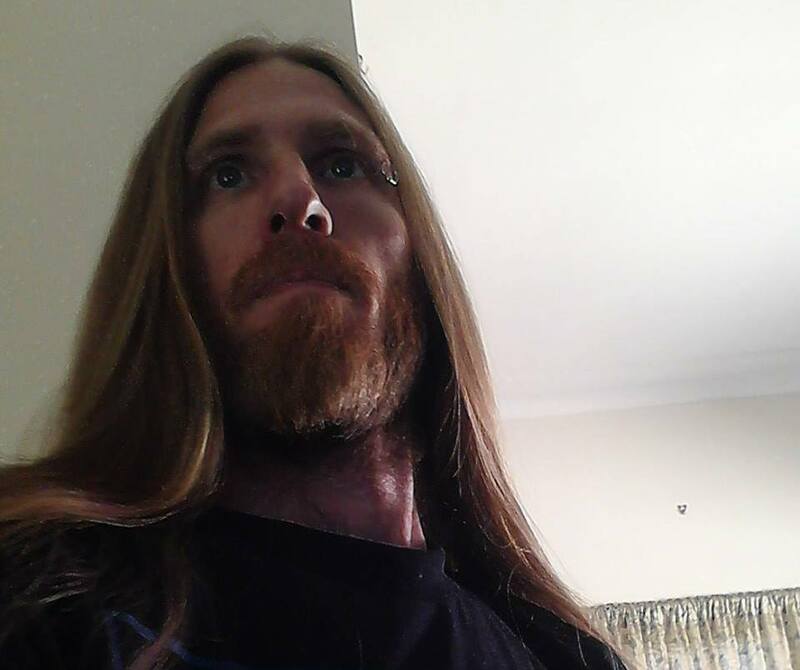 I’m an extreme metal aficionado, and prior to returning to writing horror full time, I was involved in the worldwide extreme metal communities in a variety of capacities. I’m the author of Plebs, Undead Fleshcrave: The Zombie Trigger, With Tooth and Claw, Riders (Plebs 2-Books One and Two) and editor for the Rejected For Content series. I also run WetWorks which is the extreme horror/bizarro imprint of J. Ellington Ashton Press. Spending time with my wife, playing with the kids, reading, drawing, listening to music, watching movies, all kinds of things. Mind you, when I’m not writing my own material, there’s always editing for others, assembling anthologies, promoting, marketing, and a whole host of other miscellaneous duties associated with writing. Other than the horror genre, what else has been a major influence on your writing? Music. All kinds of music and different genres, but primarily heavy metal (most notably extreme metal such as black and death). This has long been an influence on my writing, in particular once I gravitated completely towards horror. I’ve maintained for quite some time that horror and metal go hand in hand, and have written a couple of articles and blogs to that effect. I know the question stated influences other than horror, and for that purpose, the main answer is music, but personally the two can be intrinsically linked and I frequently do link them in my writing. What are the books and films that helped to inspire you as an author? There are loads and loads of both which were very inspirational, but when I get questions like this I usually always refer to five books in particular. They are Richard Laymon Darkness, Tell Us, Graham Masterton Walkers, Dean R. Koontz Watchers, Clive Barker Cabal and Thomas Page The Spirit. These five books, in their own different ways, have been vastly inspirational not just on me as an author, but in me becoming a horror author specifically. Writing stories was something I was always into, as far back as I can remember, in the earliest school years, and I dabbled with just about any genre under the sun; the subject matter was wildly diverse. Horror however, was the genre that most captivated me and that was largely in part due to the authors I started reading more prevalently, replacing the likes of westerns, thrillers, fantasy etc. There were plenty of other books that most certainly left lasting impressions and had their hand in inspiring me to delve into the darkness, but these five books have always stuck foremost in my mind. Richard Laymon is my prime influence, so inevitably any question regarding my inspiration and influence will always find his name mentioned. The title of his I made reference to isn’t essentially one of those books considered among his best work, but since it was the very first of his I discovered back in the 90s, it’s quite important in terms of being influential on me. Up until that point I suppose much of what I was writing was somewhat derivative of other writers I was reading (Hutson, Simmons, Masterton, McCammon, old King) and something of an uneven mishmash of all of them without any real identity of my own. Finding and reading Laymon showed me that I didn’t need to write like anybody else or attempt to emulate them; I could just write what I wanted, the way I wanted without needing to adhere to any perceived guidelines or rulebooks. When it comes to films, I could probably be here all day listing those, so suffice to say, a lot of horror movies provided ample sources of inspiration. The likes of Evil Dead, Texas Chainsaw Massacre, Last House on the Left, The Hills Have Eyes, Nightbreed, Natural Born Killers, even things like The Lost Boys and From Dusk Til Dawn are right up there, so too Wrong Turn, House of 1000 Corpses, Devils Rejects in terms of more recent films. Grindhouse, exploitation, classic horror and a lot of the things that were being churned out in the 70’s, 80’s, 90’s all toss their respective ingredients into the melting pot of what serves as inspiration to me. What new and upcoming authors do you think we should take notice of? There are so many it would probably do some a disservice not to mention them all, but again I could be here for quite a while rattling off names. The horror scene is certainly flourishing and in good hands for years to come with some of these names. The likes of Toneye Eyenot, John Ledger, Michael Noe, T.S. Woolard, Dawn Cano, Michelle Garza and Melissa Lason (aka The Sisters of Slaughter) spring immediately to mind. There’s Glenn Rolfe, David Owain Hughes, Duncan Ralston, Essel Pratt, so many great scribes who are really writing some excellent stuff. All names to keep a close eye on both now and in the future, since some of them will definitely become heavyweights in the genre. I write what I like to refer to as grindhouse splatterpunk driven by heavy metal, so that probably says it all fairly succinctly. It tends to be no holds barred, visceral, explicit, and uncompromising, and can get somewhat bloody. I like to dwell on the more extreme end of the horror spectrum, but not merely for any shock value and not by sacrificing story. There always has to be a solid storyline anchoring any of the extremity or horrific realms ventured into, since at the core of it all is the desire for storytelling. Marketing and promoting the books are always aspects that are more of a chore than anything to do with the actual writing, but unfortunately they are a requisite part of the business. Writing the greatest book under the sun is no good to you if folks don’t read it, aren’t made aware of its existence or have it brought to their attention. I love the writing part, that’s always fun and relaxing to me, even when working to a deadline. I like thriving under the pressure of deadlines or needing to have something written in a certain window of time. Speaking of time, that is one aspect of writing that can prove to be difficult, merely in the fact that sometimes I have more ideas than I have time. I rarely have any issue with generating ideas or stories; it’s more a case of never having enough time to get them all written. Is there any subject you would never write about as an author? None that I’ve yet encountered. Since I’m writing horror, shying away from those topics and elements which are grotesque, horrifying, even taboo or offensive, wouldn’t make much sense. After all, horror is supposed to be horrific, so putting a sugar-coating on it or diluting it to any extent tends to defeat the purpose of it. I suppose it’s quite conceivable there might be a particular subject crop up some time in the future that I’d consider avoiding writing about, but I’ll cross that bridge when and if I ever come to it. For now, nothing yet has emerged that I wouldn’t explore, or haven’t explored already. A big imagination and a thick skin. If you have that you’re off to a decent start. No single one, more a series of different bits and pieces along the way that I’d like to think I apply every now and then. Most of the time though I toss any preconceived rulebook out the window and stick to my notion of writing what I want, the way I want. Write the kind of books that I personally love to read. Getting your work noticed is one of the hardest things for a writer to achieve, how have you approached this subject? I’m fortunate in that I now have a reasonably established fan base of sorts, but I still have to go through the process of promoting, marketing and hitting every potential avenue of getting the word out there. I’m constantly trying out new methods and looking to see what’s out there to help with this, sometimes to the point where I like to assist others in also trying to get their work noticed. Interaction with fans and potential readers, word of mouth, these are still the best methods of getting people to notice your work and check it out. Harking back to that earlier point of writing a brilliant book means nothing if you can’t get anybody to read it; that is always going to be applicable. Finishing anything, whether it is a six hundred page novel or a short story is always a great moment for me, so I don’t essentially see any project as being any more important than any of the others. They’re all proud moments for me. 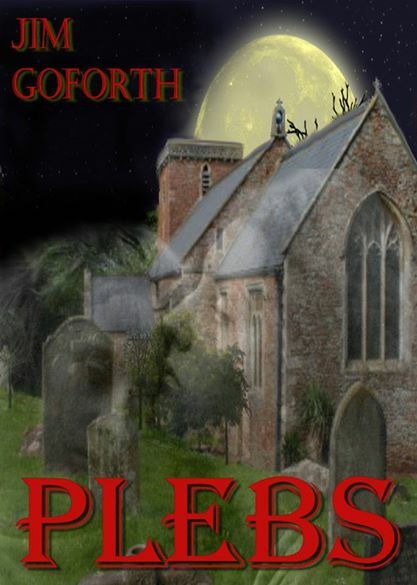 There are instances where certain things could be considered as landmark events in my writing; for example Plebs was my debut novel so it always has a special place, getting to line up alongside some of my favourite authors like Edward Lee, Jack Ketchum, Joe Lonsdale, Wrath James White and others and share tables of contents in various books is another. Do you have a favorite line or passage from your work? Again, not any specific one. I write what I like to read myself, so it’s fair to say I’m not one of those who ends up hating what they’ve written and elects to never read it again, I often dig going back to read stories and books I’ve written again. 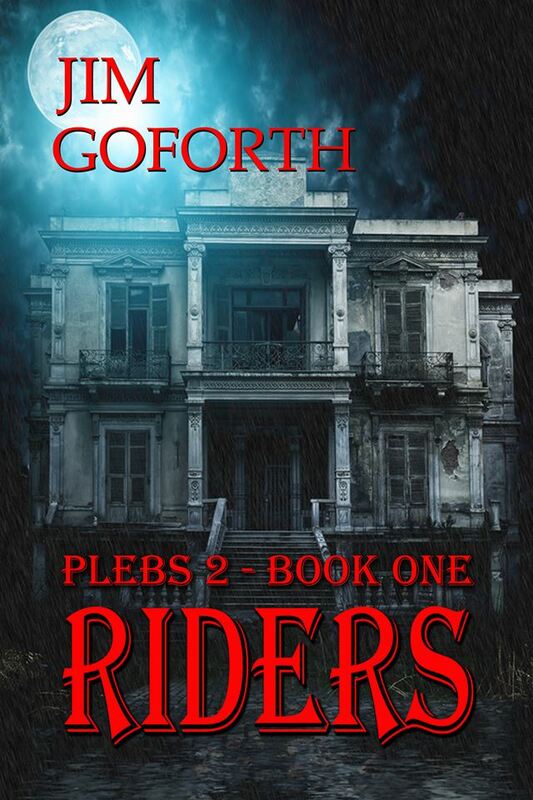 My last book was Riders, the sequel to my 2014 debut novel Plebs. This came out earlier this year, and while Plebs was a massive book at six hundred pages, this one was even bigger, so much so that it’s actually split into two books; Riders: Plebs 2-Book One and Book Two. It picks up around six months after the bloody culmination of Plebs and takes what few survivors walked away from that onto another hellish expedition into all sorts of chaos and carnage, some they happen to draw to themselves through various choices and actions. Anybody who is familiar with Plebs will probably know what type of mayhem they’re letting themselves in for with Riders, while those who aren’t would probably be advised to read Plebs first. Not if they’re overly faint of heart though. As for what I’m currently working on, well I’m always working on multiple projects at any given time and now is no exception. At the moment I’m trying to wrap up another massive enterprise which is one lengthy story spanned over two books. This one revolves around a group of disgruntled ex-Carnival workers who discover the new owner of their former place of employment has some hideous agendas and plans in place for his new venture. In addition to that I’m wrapping up proceedings to the fifth volume of the popular Rejected For Content anthology series (Rejected For Content 5: Sanitarium), working on myriad short stories for an assortment of projects happening in 2017 as well as writing four other novels. 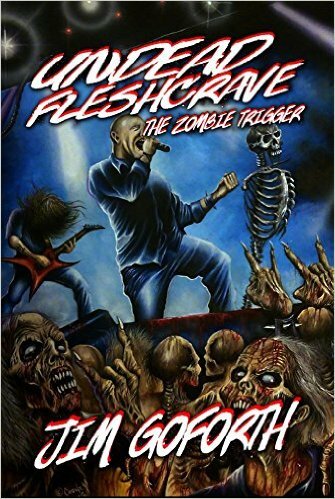 Next year will see work start on a follow-up book to the extreme heavy metal zombie opus Undead Fleshcrave: The Zombie Trigger as well as another instalment in the Plebs saga. My next book to be released, The Sleep, which should be coming before this year is out, is something of a creature feature, albeit with my own splatterpunk spin on it. I’m neither a zombie genre nor a monster genre author, so my explorations into these kinds of realms are what I’d like to think are relatively unique. There’s been a ton of great books come out in quite recent times, but I’ll limit the mentions to just a couple. Michelle Garza and Melissa Lason’s Mayan Blue is a hell of a good time for something that goes all out on horror, plants the foot to the accelerator and keeps the pace up relentlessly, while Michael Kanuckel’s Dream a Little Dream of Me is one of those bona fide classic horror tales that deserves to be more widely read. I can’t recall being too disappointed in much of anything since Koontz and King started to go pretty skew-if with their books. Most books, unless they are penned by well-established authors or favourites of mine, I tend to go into without any expectations so I’m often pleasantly surprised. I’ve no problem with any of the questions I get asked, I’m usually happy with most interviews as they are. A lot of times very similar questions tend to get asked over and over, so it’s a matter of rewording an answer so I’m not just recycling the same answer each time, so I’d be more inclined to have more people ask anything that’s a little left of centre or a bit different to the norm. Every now and then, some interviewers do, so that’s always fun. When I get one of those questions, then I’ll have an answer for it. Very few survivors walked away from the fiery inferno and hellish bloodbath at the abandoned wastelands of St. Agnes. And for all intents and purposes, while Black Widow Justice and the Twilight Twins might be dead, from both the ashes of those personas and the ashes of the old church, come the Riders of the Apocalypse. Still hell-bent on eradicating scum and degenerates, they ride on motorcycles dubbed War, Famine, Pestilence and Death, seeking to do just that. Set in the familiar locations of Cheshire, the world of this tech savvy, shoe loving Cheshire Girl is thrown into complete chaos as the E-Virus spreads through the Nation, where she has to fight for survival in a post-apocalyptic wasteland in a world where the dead just won’t stay dead. & all good book stores!